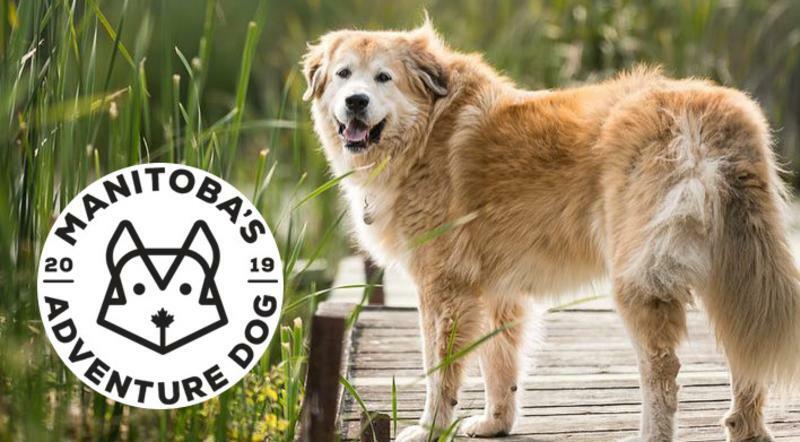 After hundreds of submissions, thousands of “I can’t evens”, and litres of happy tears, the search for Manitoba’s Top Adventure Dog 2019 has come to an end. Fergus is a 7-year-old Great Pyrenees Mountain Dog, and a fun fact…he’s also a certified Good Dog, which is a title I’ve decided I have full authority to give out as writer of this blog post. Fergus is a beautiful boy who loves to travel, and digs a mean hole. You can catch him running like the wind at Assiniboine Park, Winnipeg Beach, and Hecla, or just running away with this competition (just kidding, the votes were really close, and honestly I’m really worried about offending any of the dogs reading this, so this is a preemptive apology as I’m clearly going to get carried away at some point here). We love Fergus’s smile, whether it’s with his eyes or his pearly whites, and we’re inspired by his ability to find fun and adventure out in the snow, the wild, or the big city. Fergus is truly an adventurer, and a deserving winner of our inaugural Manitoba’s Top Adventure Dog title. For more on Fergus, swipe through his submission, or see one of the many times he’s featured on his dad Ken’s Instagram! This really was a difficult decision for us to make, and the competition was tight until the very end. For that reason, we want to give a shout-out to our other three finalists! Lupe, Juno, and Alpine, you too, are all certified Good Dogs. I encourage you all to click on their submissions to see their full slideshows to truly capture how special these pups are. Lupe, you are #sweatergoals. We’ve all been on an early evening boat ride and thought, “This is great and all, but did anyone bring a layer?” You understand that just because you’re prepared, doesn’t mean you aren’t adventurous - and for that, we salute you. Juno, in the second photo you’re wearing what looks to be a backpack. Any chance you have any tissue in there? Because it looks like I&apos;m crying again. You’ve already seen more of the province than a lot of humans have. Keep going, keep exploring - you are a good dog. Wow. All great dogs. The great thing about this contest is that, really, we’re all winners. There were so many great submissions that made us laugh, made us cry, and made us feel something. We can’t all be Manitoba’s Top Adventure Dog, but there are plenty of other titles to give out - so here are a few superlatives so I can extend this blog post and give you an excuse to look at even more dog photos. Imagine the oversight of not including this photo in the blog post. This is Haddie Marie, and you’re going to have to actively convince me that she can’t fly, because I’ve never seen this kind of confidence in anyone who can’t literally fly. Look, Kiara is 14, she’s seen the world, she’s chased her tail, and now it’s time for a good book and some doggy vino. This picture melted me, and the caption is perfect “When you’re 14 years old, sometimes the best adventure is found in a good book at home!” Preach, Kiara. You do you. This is Aspen, and she’s as tall as the lighthouse at Hecla and nobody can tell me otherwise. Imagine being a dog, and one minute you’re walking on the dock and next thing you know you’re floating in the water on an inner tube. My dog’s world would be shaken to its core, and she’d question anything she’s ever known. But my dog’s not as adventurous as Violet here, who’s a 3-time Dog Olympic Golden Treat Swimming Champion. This is a great mid-run capture of Luna, a physical specimen who we can only assume is about to make her triumphant return to save the protagonist’s life after being considered down-and-out for the whole second act of the movie. These two trouble makers sure look cute, but are definitely up to no good, and are definitely impossible to stay mad at because JUST LOOK AT THEM! This is my dog, Lady. A big thank-you goes to everyone who participated in the contest. We really are all winners.